Located off of Hwy. 70 near Miami Blvd. this 27 acre site is ideal for residential development in an area of Durham convenient to Research Triangle Park, Duke University, NCCU and Raleigh. Approximately 15 of the 27 acres is cleared, vacant land with rolling topography and lots of hardwood trees. Municiple water on site and public sewer nearby. 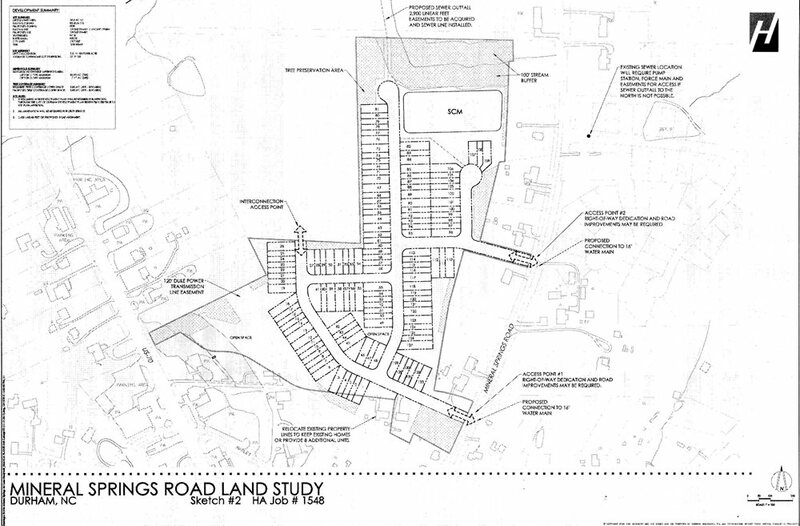 The sellers employed a professional engineering firm to developed a concept plan for a subdivision containing around 133 townhomes that should meet current development standards in Durham. I would like more information regarding the property at 1652 S. Mineral Springs Road, Durham.